“A soundtrack to the folktales your great-grandparents vowed to forget,” Naked Lore is led by trumpeter/composer Ben Holmes. The music flows between sinuous klezmer-based melodies and improvisations inspired by everything from Balkan brass band music to Olé Coltrane, with other treats and oddities thrown in along the way. This special duo performance is stripped down to trumpet and the guitar of Brad Shepik. The wordless stories they tell are by turns sinister, sweet, majestic, mischievous, rampaging and ruminative. 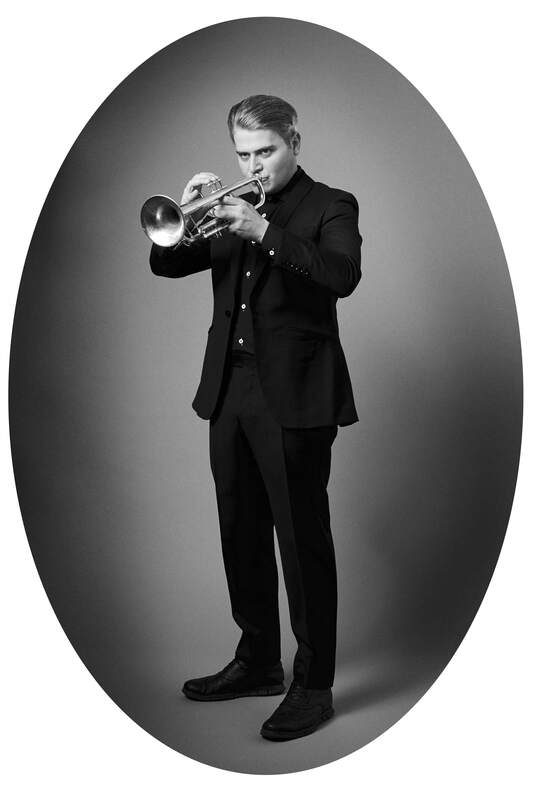 Trumpeter/composer/educator Ben Holmes lives and works in Brooklyn, NY. His current projects as a leader or co-leader include Naked Lore (a trio w/ percussionist Shane Shanahan and guitarist Brad Shepik) and the Ben Holmes/Patrick Farrell Duo (for trumpet and accordion). He has recorded two albums as a leader, 2012’s Ben Holmes Trio and 2015’s Anvil of the Lord, as well as co-producing two recordings with Tarras Band (a six-piece ensemble dedicated to the music of klezmer legend Dave Tarras), and three recordings of the Ben Holmes & Patrick Farrell Duo. He’s recorded with Slavic Soul Party!, Romashka, Vampire Weekend, Gogol Bordello, Cynthia Hopkins, and many others. Guitarist, composer, educator Brad Shepik has recorded 9 albums with his groups Brad Shepik Organ Trio, Brad Shepik Quartet, Brad Shepik Trio, Human Activity Quintet, Brad Shepik and the Commuters. Since 1995 his ensembles have performed at major festivals and clubs across Europe and North America including The North Sea Jazz Festival, Garda Jazz Festival, Cologne Biennale Jazz Festival, Toulouse Jazz Festival, Bell Atlantic Festival, Verizon, Earshot, Caramoor Jazz Festival, Langnau Jazz Festival, Groningen, Salzburg, Jerez, Cadiz, Sevilla, American Guitar Festival, Leeds, Rochester Jazz Festival, Cork, Brussels, Edgefest and others. He currently performs solo concerts and with Brad Shepik Organ Trio, The Brad Shepik Quartet, Rambler, Combo Nuvo, Tom Beckham/Brad Shepik Duo, Balkan Peppers, Jamie Baum Septet, Matt Darriau’s Paradox Trio, George Schuller’s Circle Wide, Arthur Kell and others. He teaches Theory, Improvisation, World Ensemble, Jazz Combo, Chicago Blues, Balkan Music and private guitar at New York University and private guitar at New England Conservatory and City College of New York.